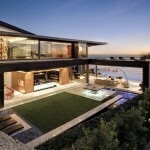 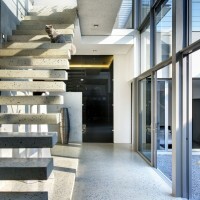 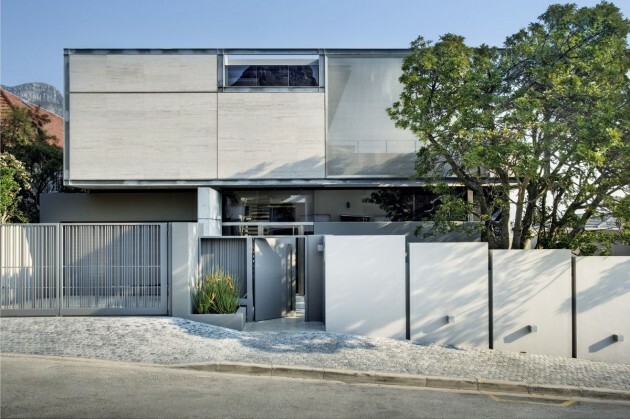 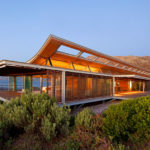 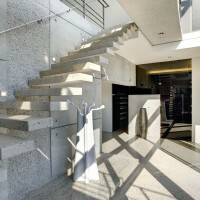 Greg Wright Architects have designed the Vk1 house in Cape Town, South Africa. 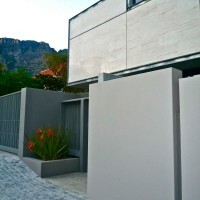 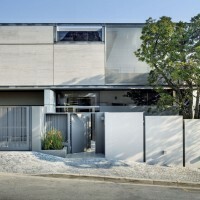 Conceived as the home for a young/trendy/elegant couple, this house is the perfect reflection of the client’s brief. 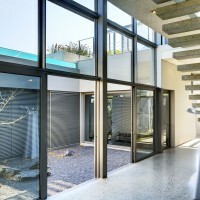 The main areas of the house are raised and located on the first floor in order to take advantage of the beautiful views towards the ocean, leaving the complementary areas on the ground floor, spinning around a central courtyard that not only provides light and ventilation but also a beautiful view from every room on that level. 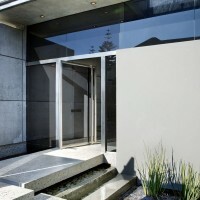 A very elegant and modern palette of polished concrete floors, textured concrete, stainless steel, with touches of natural grey stone and dark glass have conform the canvas for a unique lifestyle. 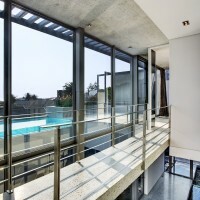 The lighting design accents the spirit of the house on every room and determines a specific mood for each occasion by washing the different surfaces and creating a very rich fest of textures and shades. 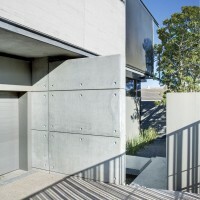 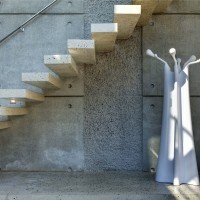 Visit the website of Greg Wright Architects – here.